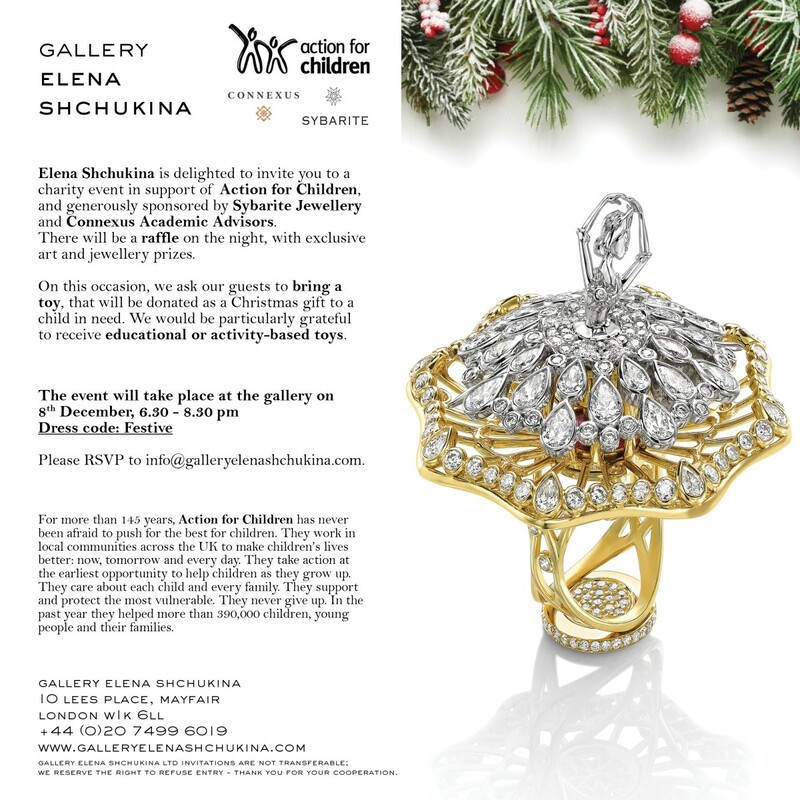 On 8th December, Elena Shchukina hosted a party in honour of London-based charity Action for Children. 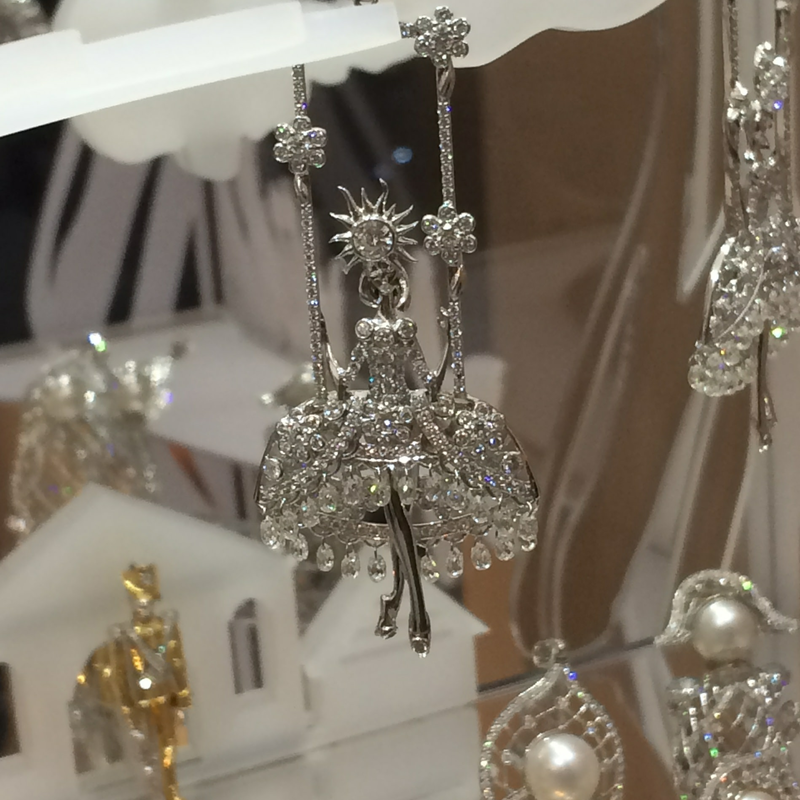 The event was made possible by the generosity of Sybarite Jewellery and Connexus Academic Advisors. 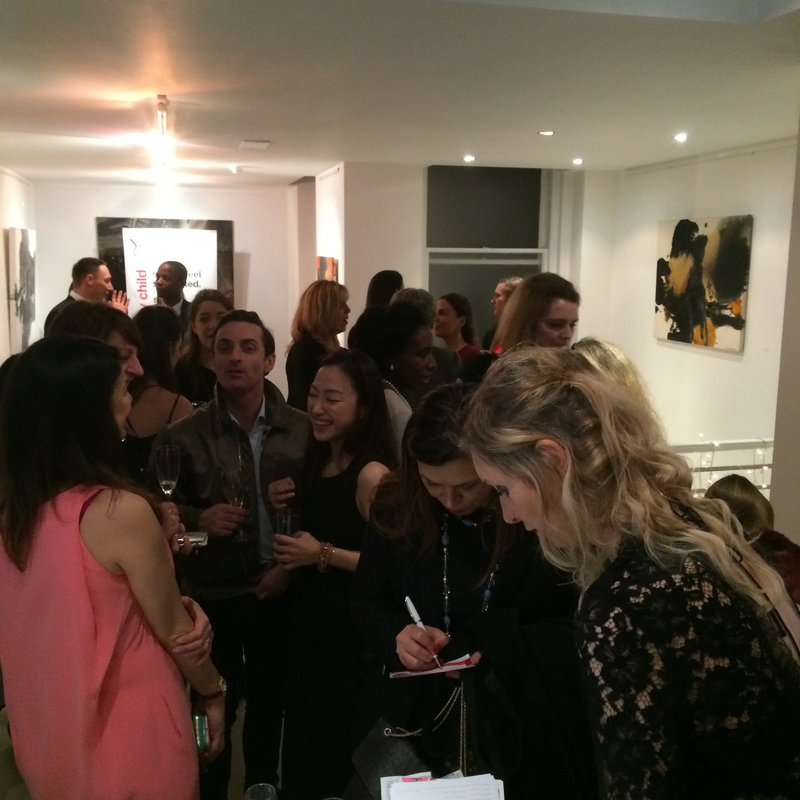 There was a raffle on the night, with two lucky winners taking home a pair of diamon earring donated by Sybarite Jewellery, and an artwork from Elena Shchukina's private collection. On this occasion, we asked our guests to bring a toy, that will be donated as a Christmas gift to a child in need. 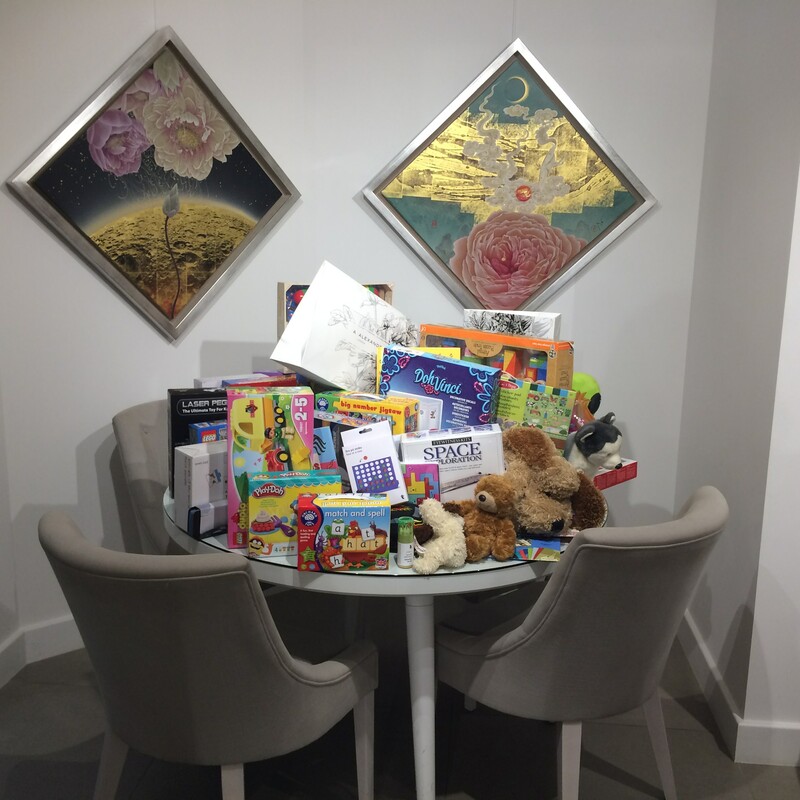 We were humbled by the overwhelming response, and are proud to say that thanks to our friends' support, this year many more children will find presents under the Christmas tree.